An attorney for an ancillary marijuana business was found guilty in connection with a $12.2 million securities fraud case involving FusionPharm, a Colorado company that refurbished steel shipping containers into cannabis growing pods. Guy M. Jean-Pierre, also known as Marcelo Dominguez de Guerra, was convicted by a federal jury in Denver of 28 counts of conspiracy, securities fraud, money laundering, wire and mail fraud. He will be sentenced July 10. 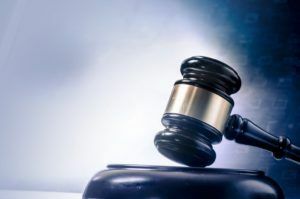 Two others involved in the FusionPharm scheme – William J. Sears and Scott M. Dittman – pleaded guilty in 2016 and 2017 to co-conspiracy to defraud the Securities and Exchange Commission. Sears also pleaded guilty to filing false income tax returns. With Jean-Pierre’s help, Sears and Dittman acquired a dormant, publicly traded penny stock firm, changed its name to FusionPharm and marketed growing pods to cannabis cultivators and vegetable farmers. Prosecutors charged the objective of the conspiracy was to conceal the fact that Sears, who had a prior securities fraud conviction, held a controlling interest in FusionPharm. As the company’s de facto legal counsel, Jean-Pierre, among other things, was accused of filing false and backdated documents that allowed FusionPharm to sell restricted stock to entities controlled by Sears in violation of federal securities rules.